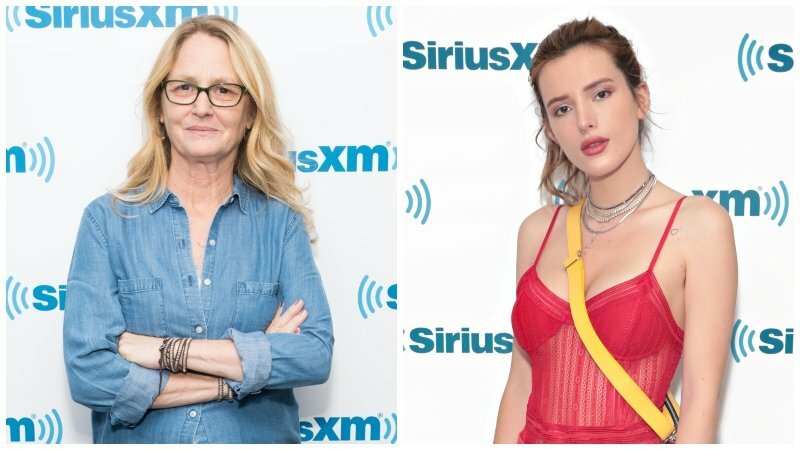 Deadline reports that Melissa Leo and Bella Thorne have been cast in the lead roles in Leave Not One Alive. Production is underway for the forthcoming indie revenge thriller which is now filming in New York. In addition to Leo and Thorne, Jake Weary (It Follows), Michael Potts (The Wire), Benedict Samuel (Gotham), Kevin Corrigan (The Departed), and Adrian Martinez (I Feel Pretty) are also set to star in the feature. The thriller follows the story of theater actress, Lillian Cooper (Leo) whose son (Weary) dies mysteriously. When the investigating officer (Potts) rules the cause of death an accidental overdose, Lillian conducts her own investigation which leads her to an unlikely alliance with her son’s former drug dealer (Thorne). On her quest for answers, Lillian hallucinates some of the iconic characters she’s played on stage which serve as her inner voice, urging her to avenge her son’s death. Ace Pictures Entertainment and DeerJen are producing the film. Jen Gatien, Peter Wong anf Timur Bekbosunov serve as the producers with Johnny Chang and Emma Lee of Ace Pictures Entertainment executive producing the film. Leo is best known for her role in The Fighter as Alice Eklund-Ward which earned her numerous honors including an Academy Award for Best Supporting Actress. She recently appeared in the comedy drama Furlough opposite Tessa Thompson (Untitled Men in Black Spinoff, Thor: Ragnarok). Thorne has appeared in numerous movies such as the comedy Blended starring alongside Adam Sandler and Drew Barrymore; and the romantic drama Midnight Sun. She will next be seen in the comedy thriller Assassination Nation which stars Odessa Young (Shirley) and Suki Waterhouse (Detective Pikachu) and will premiere this September. The post Leave Not One Alive: Melissa Leo & Bella Thorne to Star in Thriller appeared first on ComingSoon.net.